A gender-balanced world serves as a community where people embrace diversity and value all genders. It is important to have a gender-balanced world because we are stronger when we come together as one, and our purpose in this gender balanced world is to lift each other up, not the other way around. Furthermore, all genders are entitled to all opportunities that will positively impact them. 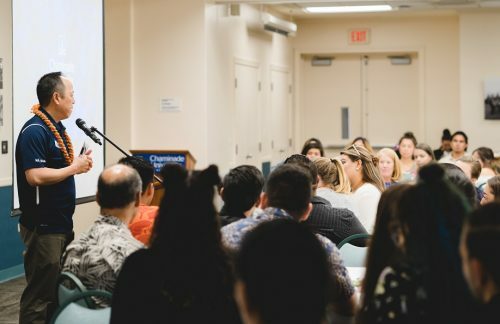 Hoʻoulu Scholarship Program students gathered a workshop about The Power of Paʻakai at Chaminade University on Feb. 13. 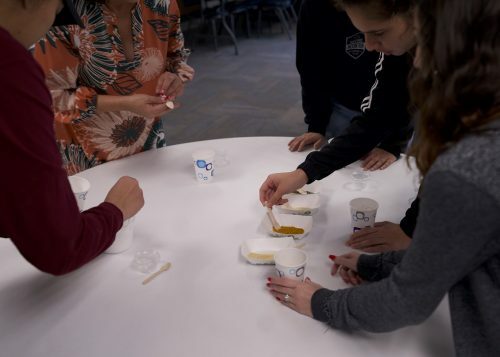 The workshop featured a presentation, given by Kamehameha Schools representatives, exploring the traditional practices surrounding paʻakai, or Hawaiian sea salt, and its relevance today. 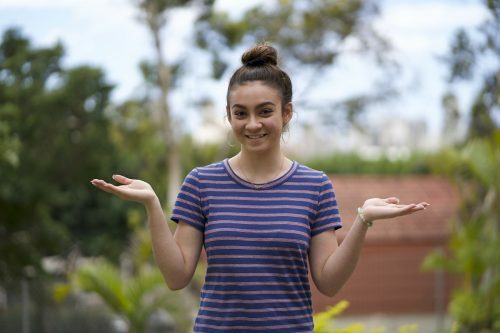 Recipients of the Hoʻoulu Scholarship, which is funded by Kamehameha Schools and Chaminade, are interested in careers in STEM and are passionate about the Hawaiian culture. 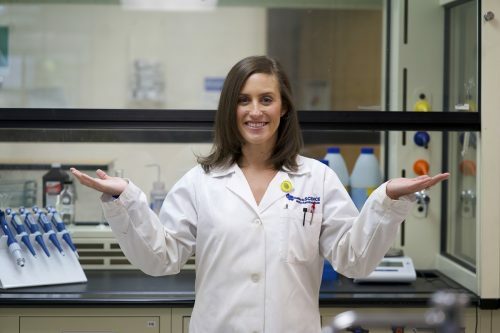 They generally pursue degrees in Biology, Biochemistry, Forensic Science, Data Science, Environmental Studies, Nursing or Business. Kamehameha Schools presenters Kimo Chun, program manager, and Sandra Tanaka, employer engagement coordinator, drew from ʻike kupuna, or wisdom of our ancestors, to explain to the 25 attendees how the power of paʻakai is applicable to them and their career development. Paʻakai serves a variety of purposes in Native Hawaiian culture. It is used in blessings, cleansings, medicine, food preservation and cooking. The rock salt is the product of a great deal of preparation including hours of physical labor done mostly in the summer months. 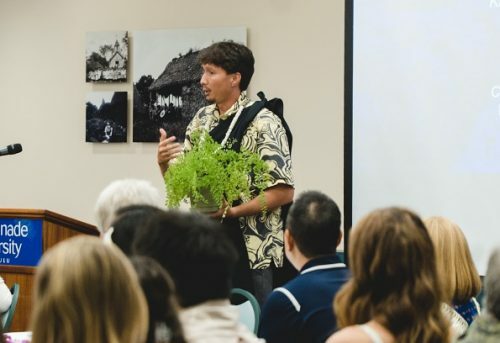 Regardless of the amount of hard work that goes into cultivating paʻakai, the presentation emphasized that it is to be shared and given freely with aloha. 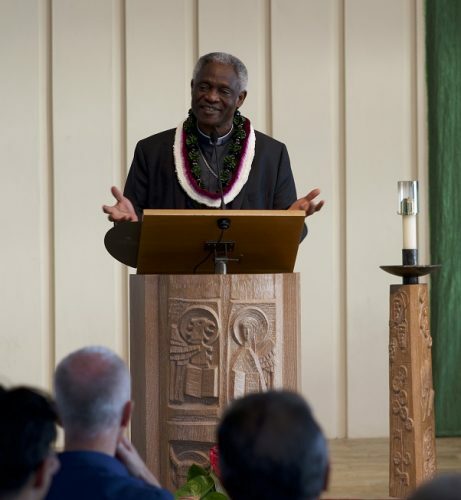 Friday, October 26 marked this year’s Pacific Island Review. Each fall, the lively event is an opportunity for Chaminade student cultural organizations to showcase their talents through music, dance and performance. This year’s annual event also featured dinner and a heated lip sync battle. If you missed this year’s event, be sure to watch the highlights in the video below and then join us in the spring for International Extravaganza! Chaminade faculty and staff gathered on campus with families from across the state to celebrate the new class of scholars and officially welcome them to the Chaminade ‘ohana. 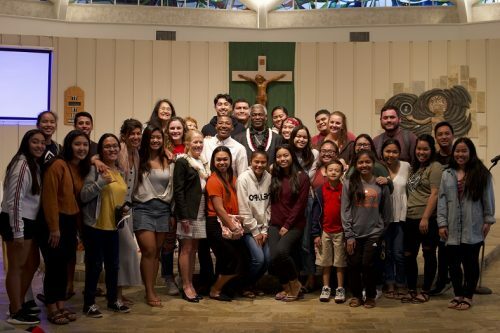 The dinner began with a traditional oli led by returning scholars and Kahoalii Keahi-Wood, cultural engagement specialist at Chaminade University. 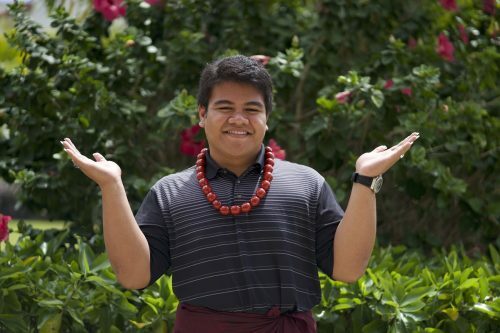 Having grown up in the low-lying Marshall Islands, Chaminade University student Broderick Menke knows firsthand about the devastating effects of global warming and sea level rise. Tidal flooding regularly threatens homes and freshwater supplies in his island nation and may make many areas unfit for human habitation in coming decades. Menke also represented the Marshall Islands at the ensuing United Nations Climate Change Conference in Bonn, which supported governments in reducing greenhouse gas emissions and thereby accelerating the transformation to sustainable, resilient and climate-safe development. 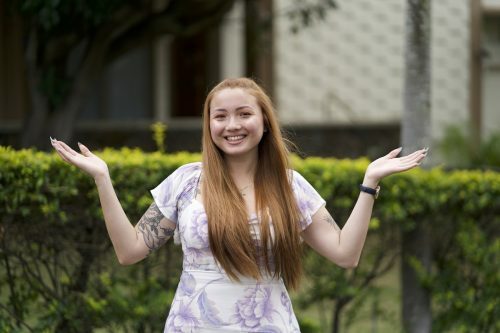 “Out of all my international trips, Germany was a unique time,” Menke said, because the Republic of Fiji presided over the conferences. 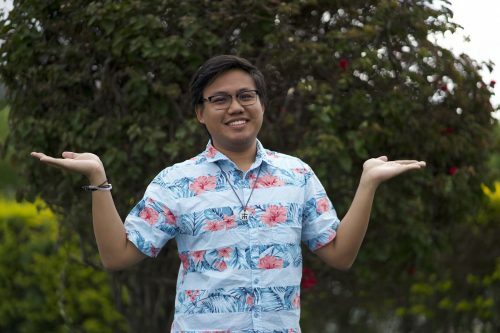 Menke was selected to lead the Pacific Voices in Unison – a team of six youth from Fiji, Kiribati, Samoa, the Solomon Islands, Vanuatu and the Republic of the Marshall Islands – who shared their stories of resilience in the face of climate change. 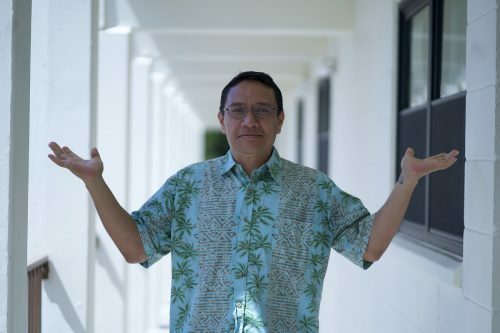 He was also active with the “Have Your Sei” campaign in Bonn, during which “Pacific Climate Warriors” called for ending the use of fossil fuels and providing financial assistance to countries facing irreversible damage from rising sea levels and other environmental threats. Being invited to participate in the two conferences was the product of “other people’s hard work,” Menke emphasized. As for his college experience, Menke said he was attracted to Chaminade based on the small class sizes and recommendations from family members who attended the university. Menke credits one of his professors, Environmental Studies Director Gail Grabowsky, with being especially important in clarifying his academic and career goals. After graduating from Chaminade, Menke plans to further his education at a university on the East Coast or possibly in Aotearoa (New Zealand). His message to other climate warriors? 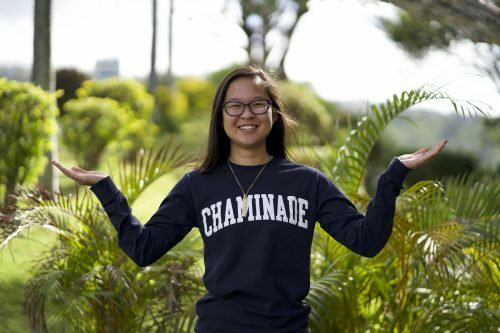 Chaminade University offers a bachelor’s degree in Environmental Studies, which prepares students for careers in fields such as environmental policy, law, economics, communications and information, consulting, science, ethics and health.